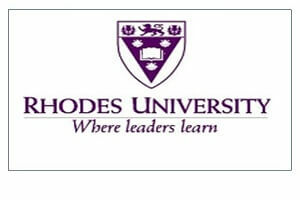 Rhodes University is well on track for welcoming its new students as orientation kicks off from 2-9 February. “Student helpers have been trained and already in the residence system. The Orientation Week (O-Week, as it is known at Rhodes) programme begins with the opening of the University on Saturday afternoon,” said Dr Chrissie Boughey, Deputy Vice-Chancellor of Academic and Student Affairs. According to Dr Boughey, planning for O-Week commenced last year with meetings involving the Student Representative Council (SRC), Deans and representatives from Student Affairs. This year’s O-Week has been completely revamped and offers an exciting new programme, which is structured around two themes, ‘Being Well and Aware’ and ‘Learning at University’. The ‘Being Well and Aware’ workshops will include topics such as mental health and wellness, transformation and safety and security. A drama production and exhibition on gender-based violence will also form part of the workshops. The ‘Learning at University’ sessions will comprise of an introduction to the difference between school and University learning, as well as the first RULearning course, which aims to be a bridging course between secondary and tertiary education. “One of the most important things students need to do during O-Week is choose which subjects they will study in the first year. In the past, we offered talks by different departments. This year, we have grouped subjects together in thematic areas and representatives from each subject will appear on a panel to answer questions posed by a student facilitator,” Dr Boughey explained. “The aim of this is to help students see how subjects ‘go together’ and to open up a range of new ways of thinking about studying at Rhodes University, this is a completely new approach,” she added. Her advice to new students is to go to as many of the panels on Monday, Tuesday and Wednesday and think hard about the wide array of subjects on offer at the University. “Don’t rely on preconceived ideas,” she said. Other activities planned for the week include library tours, computer lab sessions, talk with the Deans, and various exhibitions. Social events include and SRC picnic, sports events, Ru Jamming competitions, and an ‘Amazing Race’. Community engagement and environmental awareness will also feature strongly during the week. “A plan for managing water has been developed in the town. The University as a key stakeholder has been involved in that planning. We have a campus water management plan, and water-saving advice for students living off campus. If everyone pulls together and saves water, then we can get through this,” Dr Boughey concluded.